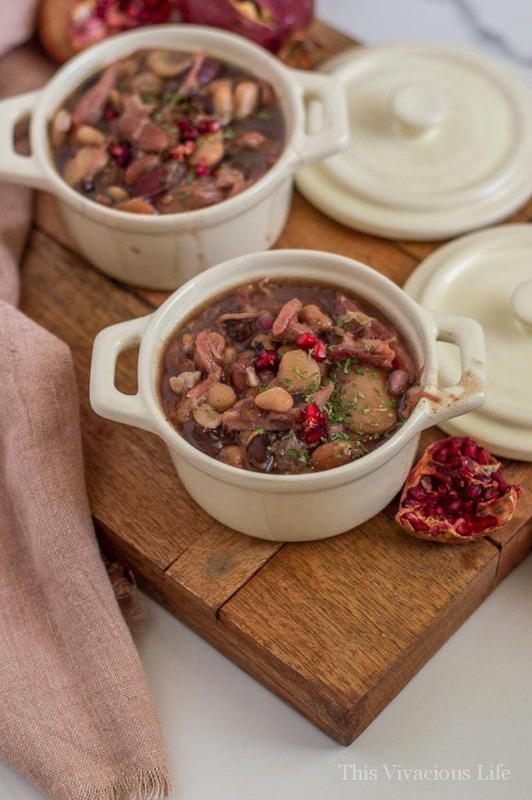 This slow cooker ham and bean soup is so warm and filling. 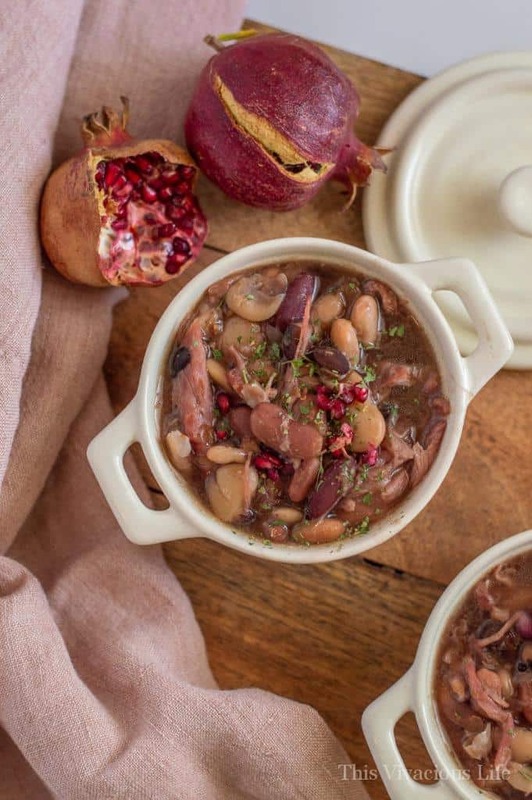 The pomegranate adds so much freshness! 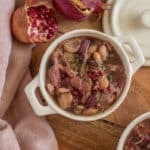 I love finding ways to use my Thanksgiving leftovers and this slow cooker ham and bean soup is one of my favorites! 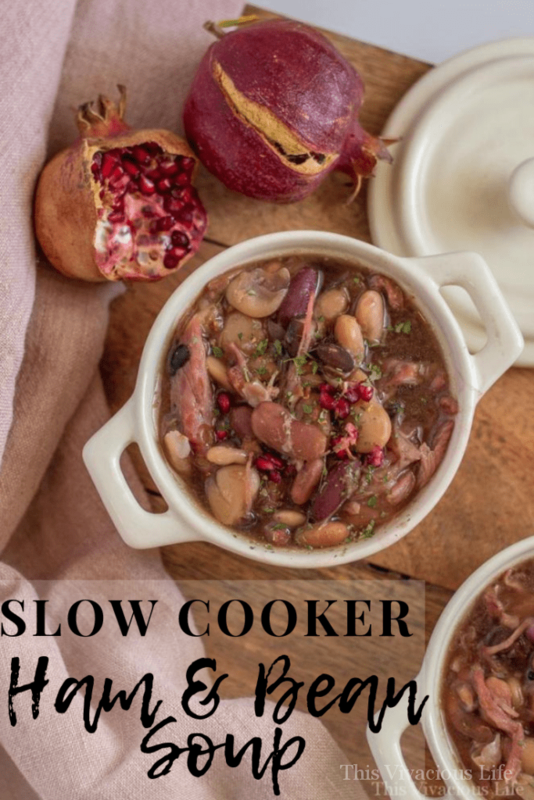 While you can let this slow cooker ham and bean soup cook all day low and slow, you can also whip it up even quicker in your Instant Pot. 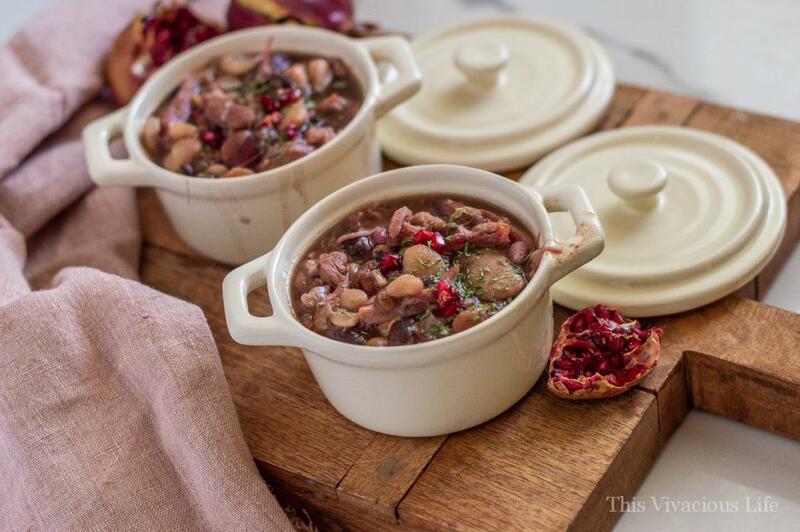 Either way, it is sure to fill hungry bellies during those cold winter months. 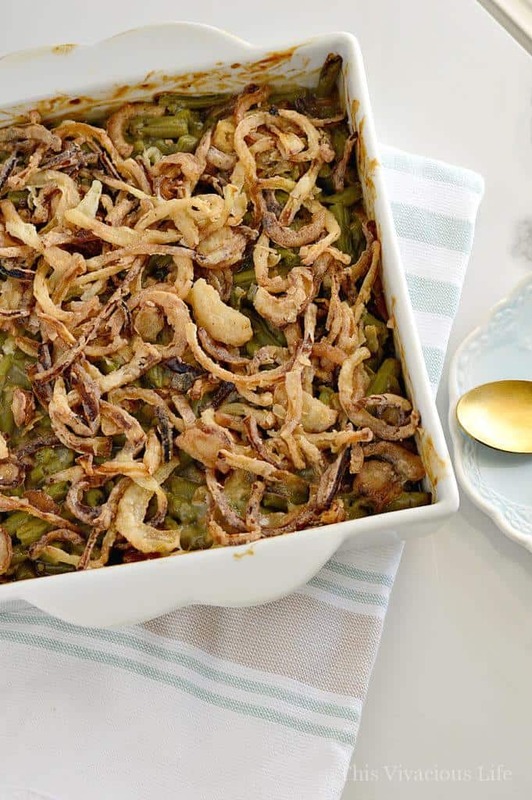 It is great served up with our fluffy gluten-free crescent rolls. 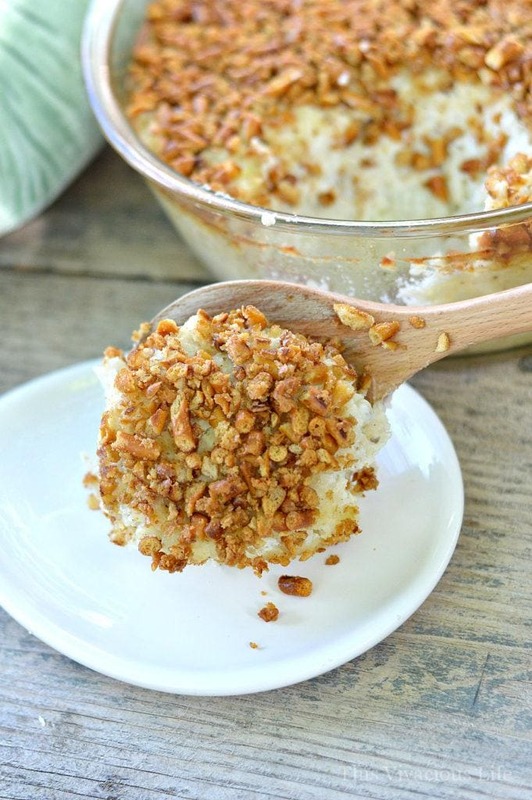 This recipe was originally created and posted back on February 2011! Yeah, we’ve been making it before Instagram was even around… We are vintage like that. It truly is a great recipe to use up every last bit of a ham when you have already eaten all you can from off the bone. My mom taught me to use everything so I just love this tasty recipe that accomplishes that. Of course, the fact that this recipe is so cheap to make, also makes it a winner. 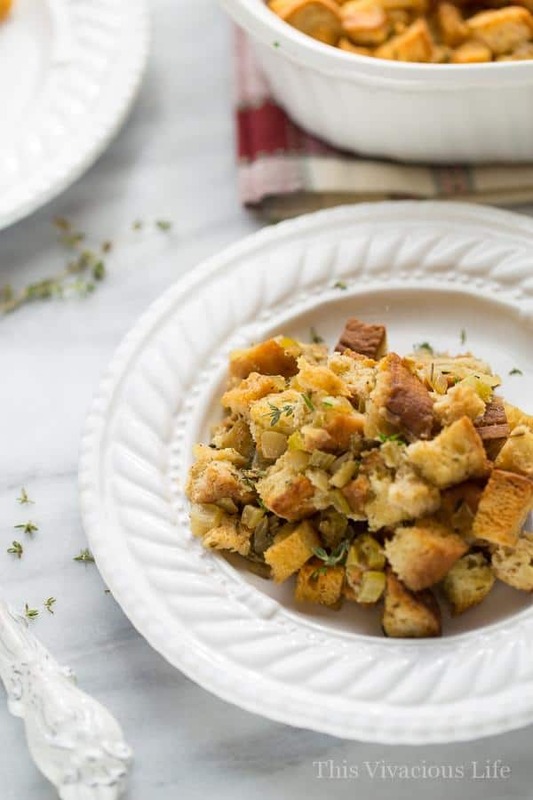 If you also like leftovers, be sure to check out our ham and cheese potato casserole with pretzel crust. It is great for breakfast or dinner! 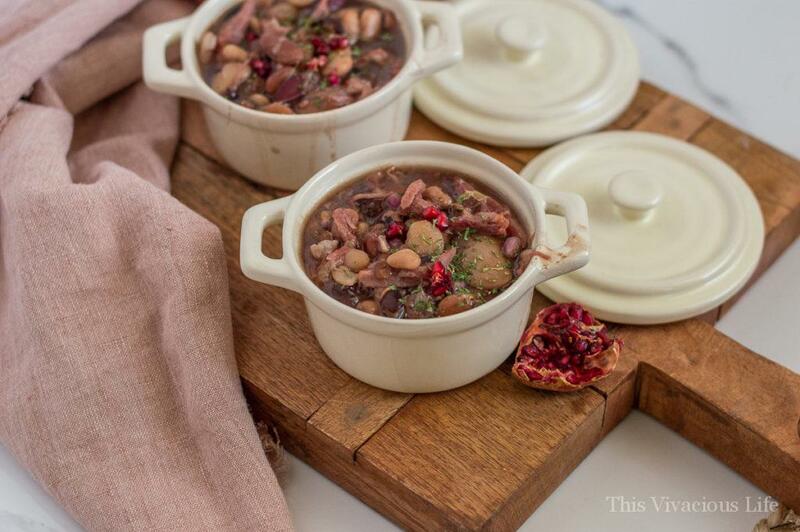 My friend Erin at Meaningful Eats also has a tasty recipe using pomegranates that you will love! Her dairy-free cranberry Christmas fluff is super tasty. 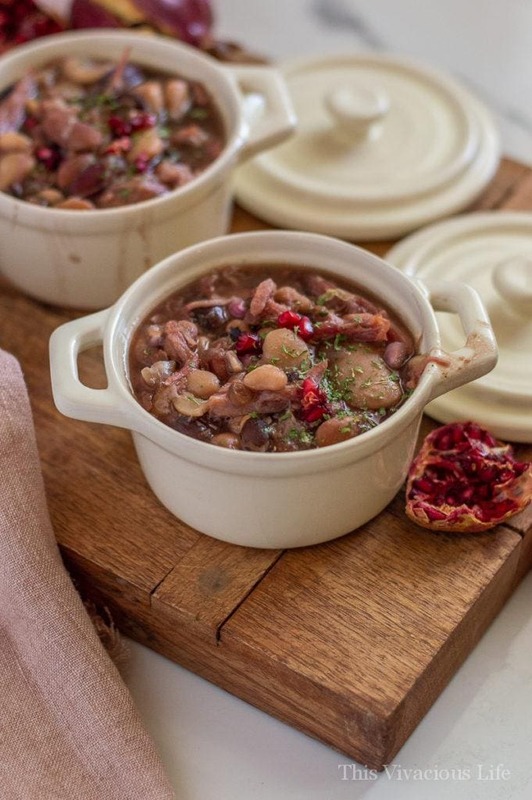 This slow cooker ham and bean soup is so filling and delicious! 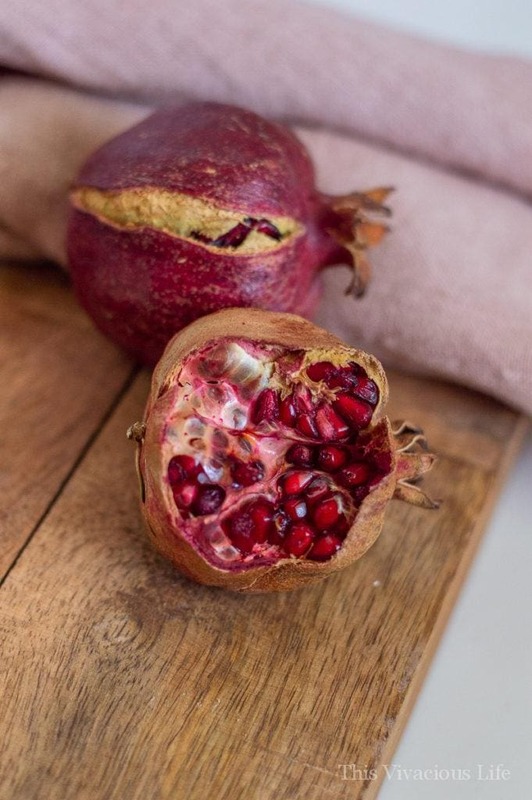 The pomegranate adds a nice burst of freshness that everyone will love. 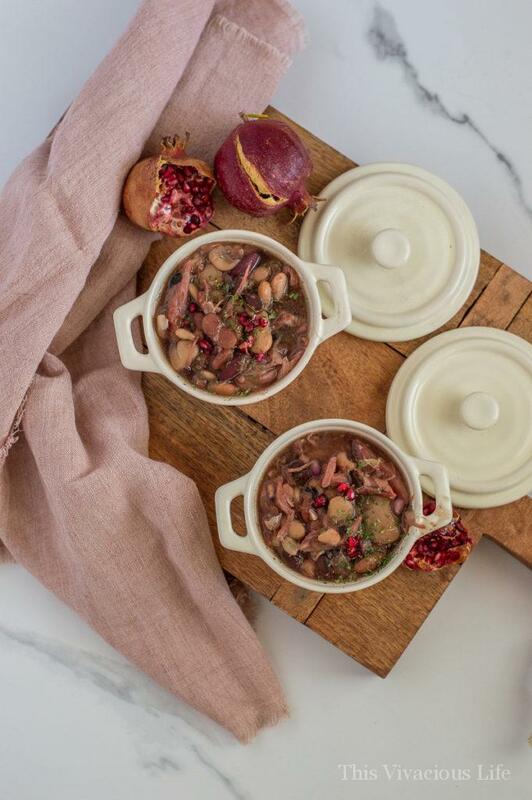 Add a bit more salt to taste and enjoy topped with more fresh pomegranate seeds! Be sure to sort and rinse the dry beans well before using.